The saying goes that ‘with the right shoes… a woman can conquer the world’. I beg to differ. I believe with the right blow dry… a woman can conquer the world. 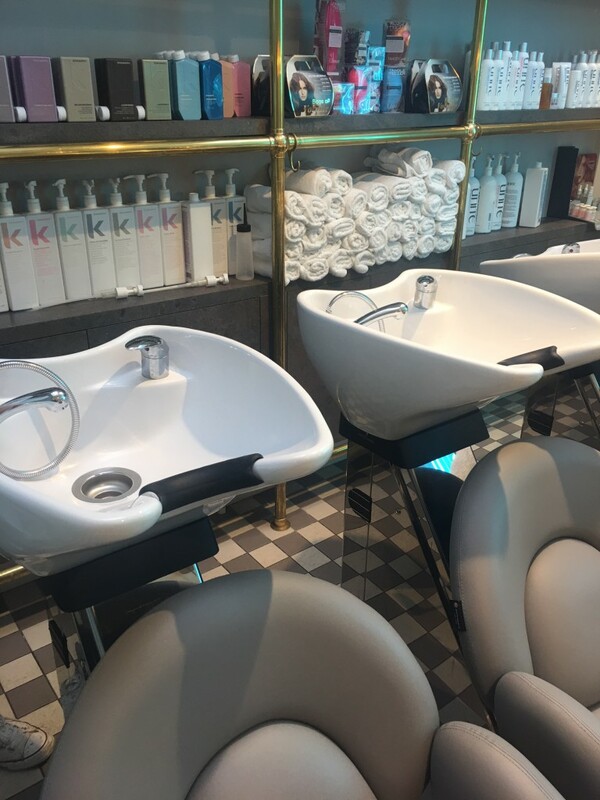 With this philosophy, you can see why I was excited to be invited to Blush + Blow in Parsons Green to be treated to a professional Blow Dry and a manicure. Blush + Blow is the dream creation of makeup artist, beauty journalist and entrepreneur, Bridget O’Keeffe. She has successfully created a service which blends high quality and luxury treatments with affordable prices. Hard to do in London and one of the more expensive boroughs in London. Greeted by the cutest Cavalier King Charles Spaniel as soon as I opened the door, I was instantly put at ease and couldn’t wait to start being pampered. The décor is absolutely stunning. Crisp and luxurious, I felt like a star about to get ready for the red carpet. Today I was going to be taken care of by Anna and Amy. Amy showed me the gel colours I could choose from and left me to make my decision while I was getting my hair washed. Meeting Anna, she took me to the wash area and I explained that I’d recently gone blonde so apologised if my hair was a little dry. She expertly recommended high hydration shampoo and conditioner to treat my hair and went to work washing my hair. This is usually the part of a hair dresser’s I hate the most as I’m getting inpatient to see the results of whatever colour change I’ve decided to go with that day. This definitely wasn’t the case here. 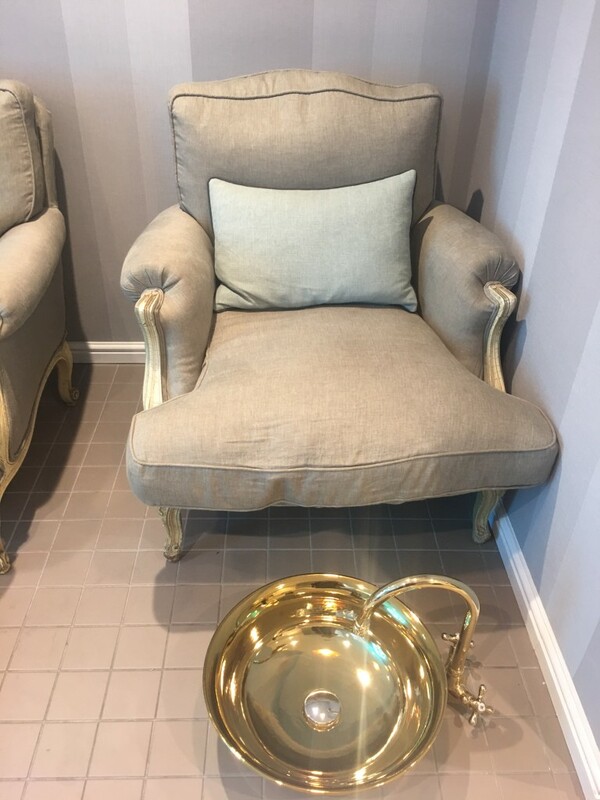 The bowls and chairs were incredibly comfortable. After my hair was washed, I was taken to the manicure station and finally had to choose what colour my nails were going to be painted. It was a lot harder decision than I thought it was going to be! 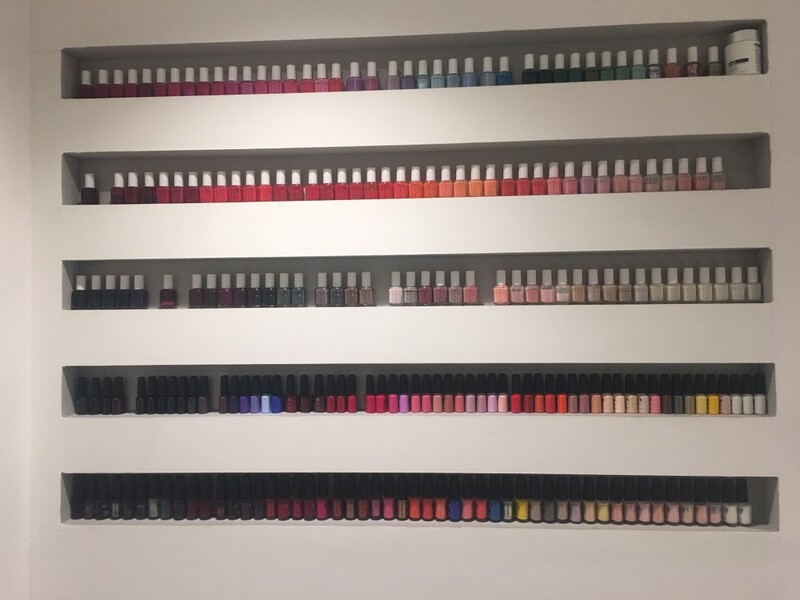 It felt like there were 100 different colours to choose from. 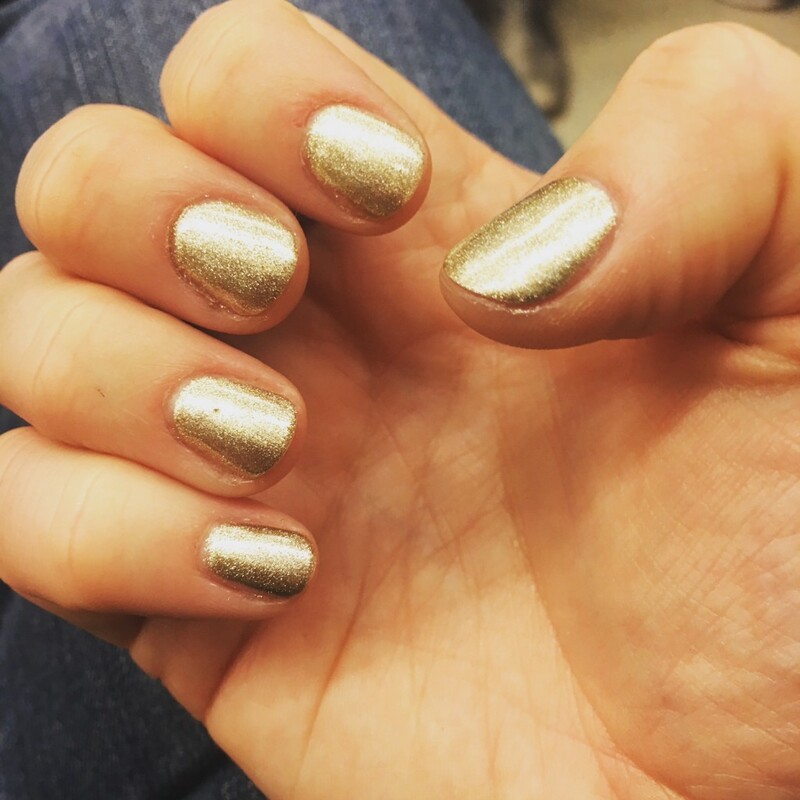 In the end, because I was feeling classy and fancy, I went with a gorgeous gold colour. While Amy was finishing with another customer, Anna went to work blow drying my hair. It always amazes me watching people blow dry my hair as this is one talent I definitely don’t possess. 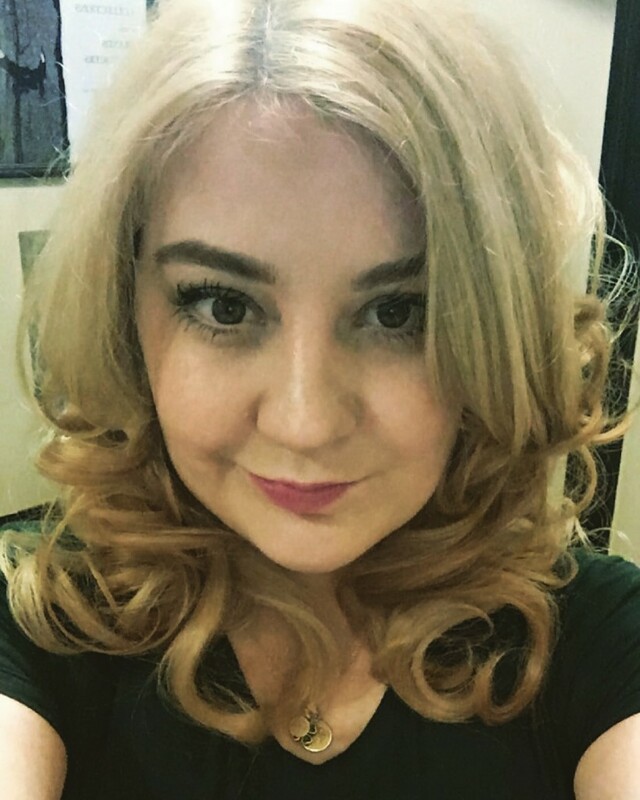 Anna was a dream, skilfully providing me with gorgeous girls and less volume like I wanted. My hair is so thick, I really don’t need the extra volume that is common. While my curls were setting and I was drinking my tea, it was time for my nails. Amy filed, buffed and worked her magic giving me a gorgeous manicure. I had the Midas touch by the time she’d finished and I couldn’t have been happier. I had such a lovely time during my visit at Blush + Blow and would have been quite happy to spend the day there trying their entire range of beauty treatments. There is definitely so many to choose from. From massages to pedicures to waxing! They also have an in-house play area (Blush + Blow Bambino). On that note, I can’t forget to mention that Blush + Blow have created a special Mummy + Me Bambino Treat Package especially for Mother’s Day. The Mummy + Me pamper package includes the following treatments to enjoy with your little angel as well as a selection of cakes and tea for two (or juice) – Mummy Luxury manicure and pedicure with the option to have gel, chrome or regular nail varnish and a Bambino manicure and pedicure using organic, toxic free wash-away nail varnish to enjoy at the same time. The Mummy + Me Bambino Treat Package is priced at £90 and will be available for the whole month of March to celebrate Mothering Sunday. Make sure you visit Blush + Blow soon. 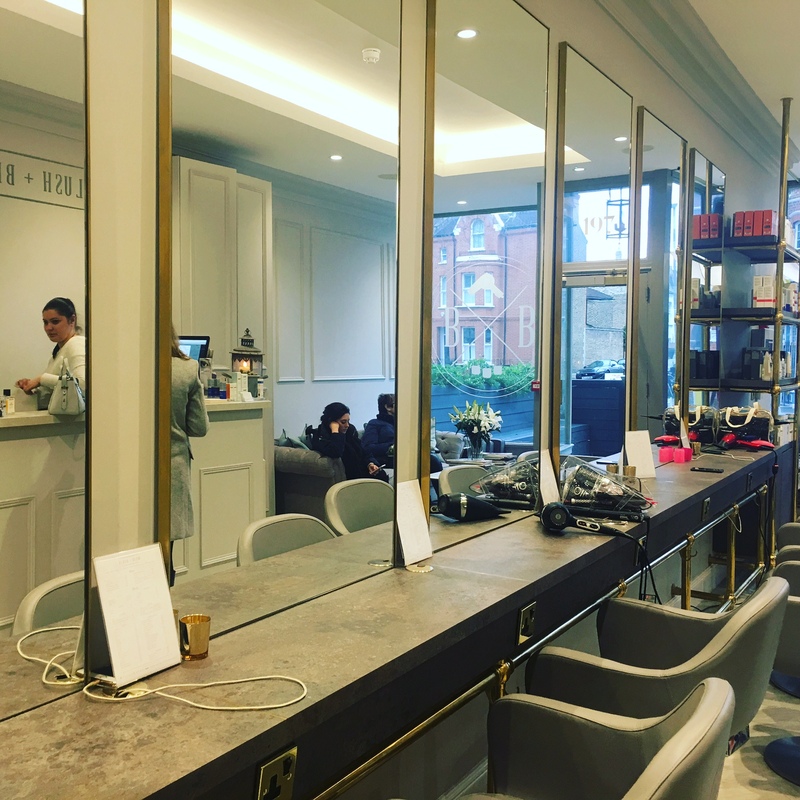 I received so many compliments and questions on where I got my blow dry after I’d left the salon and I’m sure you will too!